Some say they invented heavy metal; others say that they are the forgotten kings of acid psych rock. Jim Morrison once declared they were the most powerful band he had ever seen. They are Blue Cheer, the original power metal trio from San Francisco, California in the good ole US of A. However you care to describe them it’s soon apparent that this lot mentored the progress of stoner rock at a time when most others were preaching peace and love. Initially a four piece, they trimmed down to a trio consisting of Leigh Stephens on guitar, Dickie Peterson on bass/vocals and Paul Whaley on drums. Each man was a veritable powerhouse and purveyor of the most out-there form of rock insanity they could muster. Their debut album Vincebus Eruptum (1968) rose to the exalted position of 11 on Billboard’s charts while the attendant single, an utterly inspired version of Eddie Cochran’s ‘Summertime Blues’ was on heavy rotation for months in the Bay Area before breaking into the national psyche. From there on Blue Cheer underwent more personnel changes than just about any band we’ve come across. Their second album, Outsideinside is a case in point since Stephens quit during recording and was replaced by a different guitarist for either side of their third album, New! Improved! Blue Cheer (1969) and their last album of the decade, a self-titled affair, returned to a quartet and featured more country soul flavours. Until the present day that’s been the lot of Blue Cheer. Keyboard players have arrived, they’ve disbanded, enjoyed a reunion with Tubes percussionist as guest drummer and still go out to this day with the constant guiding presence of Peterson helming and Whaley generally turning up. These guys are made of strong stuff and when you hear their music you can understand why. Flashback to 1967, the San Francisco music scene is starting to take off with the likes of The Grateful Dead, Quicksilver Messenger Service and The Jefferson Airplane offering an antidote what they regard as the slick money making operatives in rival city Los Angeles. But even by the radical standards of the day Blue Cheer hardly fit in. Their closest comparison points are probably the Jimi Hendrix Experience and Cream, yet the likeness is superficial. The Cheer guys hung out with the local chapter of the Hells Angels and their own look or image was of the biker kind, a rough blend of wolverine hair,, denim and leather garb. They looked like you wouldn’t want to meet them in a dark alley behind the Fillmore West. By late ’67 they were so well versed in their preferred blend of freak out metal blues that they recorded their debut album Vincebus Eruptum in a matter of days at Amigo Studio in Hollywood. Named after a particularly potent type of LSA concocted by local acid chemist Owsley, Blue Cheer concentrated on documenting their own lifestyle, which was extreme to say the least. The track ‘Doctor Please’ is a classic narcotic number but then ‘Parchment Farm’, a cover of Mose Allison’s prison tune ‘Parchman Farm’ is a political diatribe against the American penal system, the government and the Vietnam War in general. Their infamous assault on ‘Summertime Blues’, which was ripped off in just less than four minutes, had kicked the album off, swiftly pursued by a version of B.B. King’s ‘Rock Me Baby’ that replaces the dapper style of the original with in-house ferocity. The re-master offers outtake ‘All Night Long’, but in any format Vincebus is a blockbuster despite a running time of just under 32 minutes. Critics either loved or hated the sound and Rolling Stone magazine fell into the latter camp, which somewhat ditched the group’s chances. Although the disc is so influential now that most who reassess it are more than happy to agree that this is where metal first got molten. Follow up recording Outsideinside varied the format with covers of the Rolling Stones’‘Satisfaction’ and Booker T. Jones’‘The Hunter’ (as made famous by Albert King). New! Improved! Blue Cheer took a swipe at Bob Dylan’s ‘It Takes a Lot to Laugh, It Takes a Train to Cry’ and gave new pianist Ralph Burns Kellogg a seat at their high table. Weirdly, Blue Cheer started going back to out and out psychedelia on The Original Human Being (1970) before being taken over by guitarist Gary Yoder for the rustic Oh! Pleasant Hope. In 1983, after a twelve year hiatus they emerged again with The Beast is Back and have continued to release sporadic missives from their oddball underground ever since. 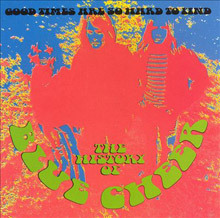 We also have the superb compilation Good Times are So Hard to Find: The History of Blue Cheer. This is the bees’ knees. It includes everything you’d want like ‘Summertime Blues’ and ‘Out of Focus’ but it also allows one to discover the Cheer’s esoteric moments. Delaney Bartlett and Mac Davis wrote ‘Hello L.A., Bye Bye Birmingham’ during the time when white blues players from the South were struggling to square the circle of racial tension in America. Blue Cheer really does this track justice. They shine even brighter on ‘I’m The Light’ and the stuttering groove of ‘Preacher’ and the title track is another reminder that no one could outdo this band on rock and roll passion. Perhaps it’s ironic that people who gravitate towards the band probably do so to experience their heavy and menacing side, but there is much more to them. They evolved in phases and didn’t stick around to bask in the reflected glory of their original image although they never lost the ability to sound like the dirtiest garage band made good. Radical, progressive, funky, damn loud and undeniably potent – Blue Cheer were and are all these things. Stick some in your music machine and prepare to have your head blown off. Vincebus Eruptum is the debut studio album by American rock band Blue Cheer. Released in January 16, 1968, the album featured the band's classic lineup of vocalist and bassist Dickie Peterson, guitarist Leigh Stephens and drummer Paul Whaley. A commercial and critical success, Vincebus Eruptum peaked at number 11 on the Billboard 200 albums chart and spawned the top-20 hit cover of Eddie Cochran's "Summertime Blues". It is lauded as one of the first heavy metal albums. 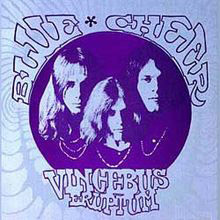 Blue Cheer's massive contribution to the early evolution of American heavy metal exists entirely on their first two 1968 releases, Vincebus Eruptum and Outsideinside. 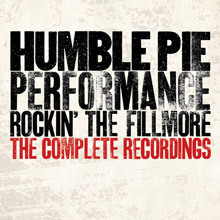 While those initial releases charted admirably, critics largely ignored the band's loud, bluesy, psychedelic-tinged hard rock. The touchy-feely summer of love lasted a lot longer than three months and building heavy metal momentum in the States was a difficult affair. There resulted some lineup shifts, minor stylistic excursions, brief creative flourishes, more lineup changes, solo projects, half retirement, and reunion retreads. Some decent songs were recorded during that long descent and fortunately many of them were picked to grace the track list of Good Times Are So Hard to Find. Chief among them is the title cut and "Pilot" from 1970's Original Human Being. Other tracks from the group's eponymous release and 1971's Oh! Pleasant Hope have a boogie-down and MOR feel respectively that, while competent, contains hardly any of the group's original fire. Of course there are a few 1968 classics like the splendid "Out of Focus," "Parchment Farm," and the band's first (and only) big hit "Summertime Blues." Fans of '70s rock in its many forms might enjoy this 1990 retrospective, but metal historians need not worry about anything beyond Blue Cheer's first two offerings. 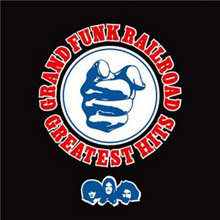 Greatest hits compilation of Grand Funk Railroad. 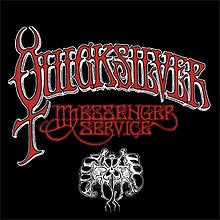 Quicksilver Messenger Service is the debut album of Quicksilver Messenger Service, released in 1968.